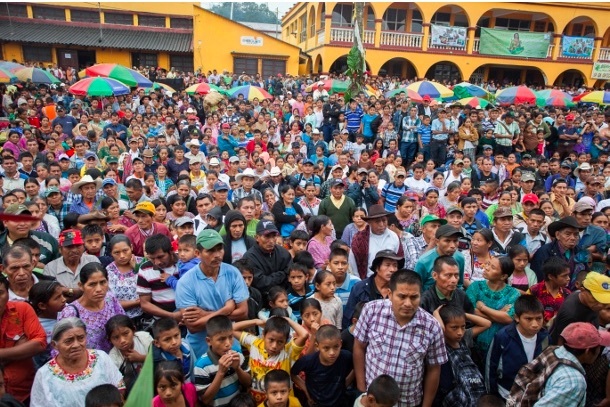 There is a crisis facing campesinos in rural Guatemala, as tens of thousands of unaccompanied minors have traveled to the United States over the last year in search of work. Yet the same forces that have driven many onto the migrant trail have led to the emergence of a movement of young campesinos organizing to stay on their land, and not be forced to migrate to the cities or the United States. In the process, they hope to recuperate the ancestral Mayan forms of agriculture, and combat hunger and poverty in their communities. . .
What is the relation between movements for food sovereignty and the global movement for a culture of peace?